Choose the Region (on the left), or the kind of itinerary you are interested in (below), in order to limit your search and find more rapidly the itinerary you want, in the Protected Area you prefer. The first leg of the Alta Via is long and demanding, but offers a wide variety of environments, ranging from the agricultural landscape of the mid Apennines to the rugged peaks of the ridge. The last stage in the Emilian high ridge landscape, this one starts the descent towards the valley of the Reno river and the Bologna area midmountains. When hiking this longest of the Alta Via stages there is a considerable drop in altitude: it may be better to spend the night in Badi or on the shores of Lake Suviana. This is a day of walking almost entirely in the woods, with some stretches on minor roads. This undemanding stage runs largely in the open landscape of the mid Apennines. This long stage leads to the hills of Romagna, crossing remarkably different environments. Easy stage on the hills, hiking along minor roads: the long stretch across the ridge is very scenic. It is perhaps the most unique stage of the entire Alta Via, almost entirely hiking along the crest of the Vena del Gesso. A long hilly stage, this one mainly keeps on the ridge between the valleys of the Senio and Lamone. 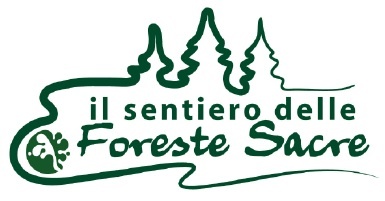 This easy stage moves towards the Parco Nazionale delle Foreste Casentinesi.